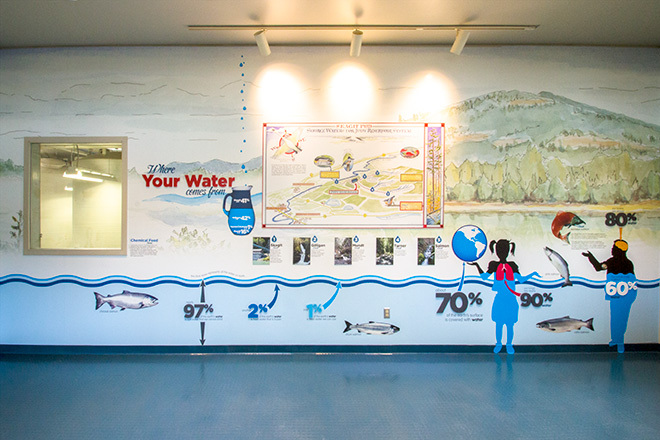 BrandQuery developed this educational and interpretive exhibit for the interior of the Judy Reservoir water treatment plant. 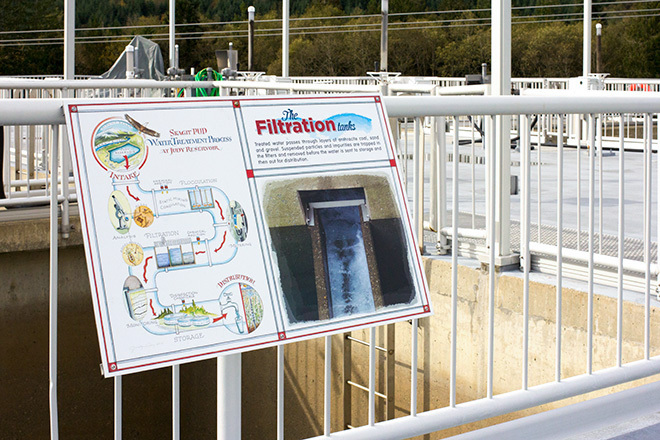 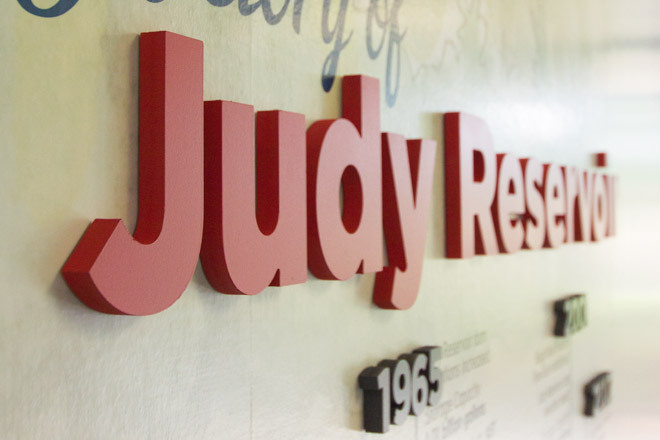 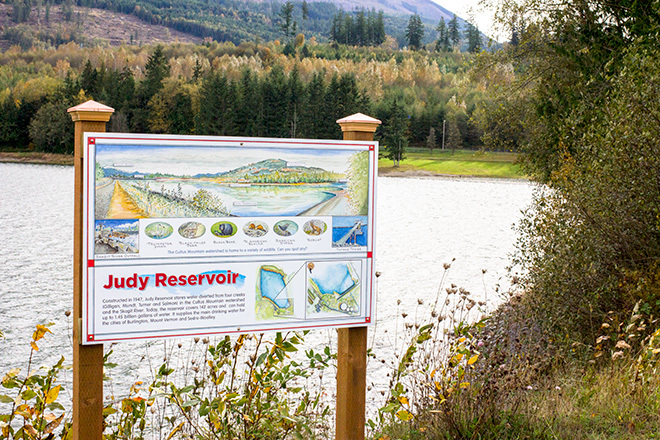 The exhibit describes Judy Reservoir and the water distribution system and features facts about where Skagit County’s water supply comes from, how it’s treated and other facts about water in our everyday lives. 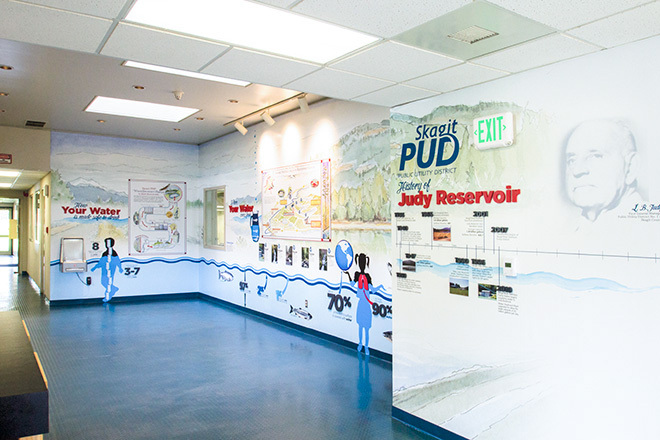 It also displays a timeline of key historical events in Skagit PUD’s history. 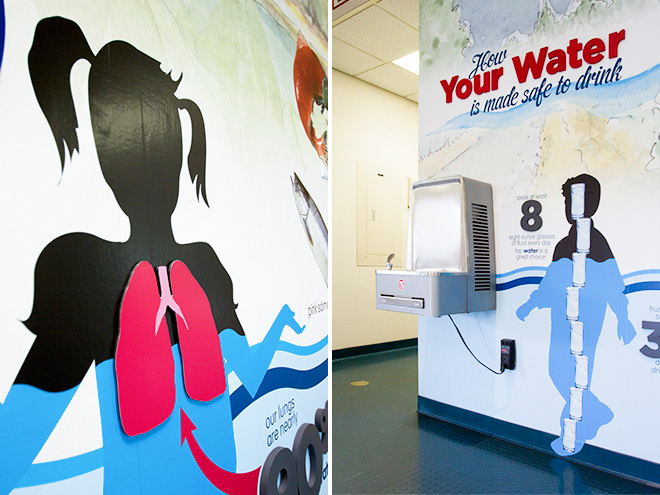 The exhibit, with printed wall and dimensional graphics, spans three walls within the building lobby and will be used to educate students and visitors of all ages.